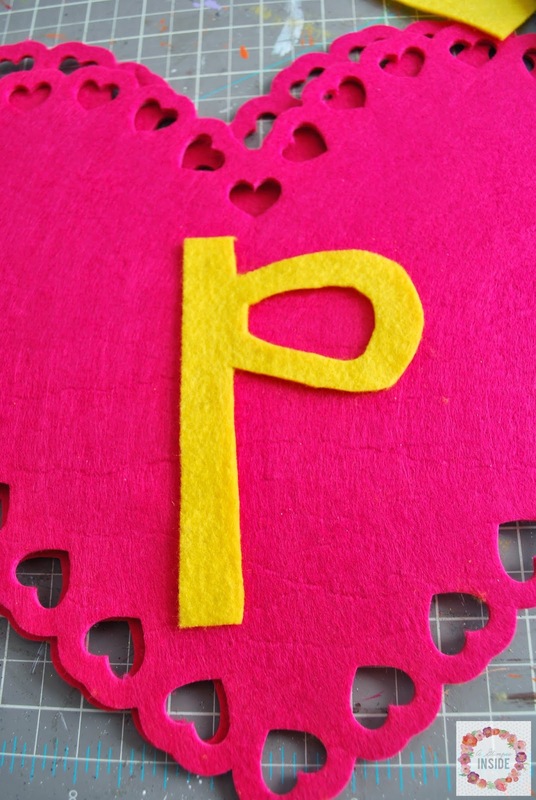 Begin by cutting out the initial of your child's name out of felt. I just free handed the letter while I cut it out but you could always cut something out using a cutting machine as well. 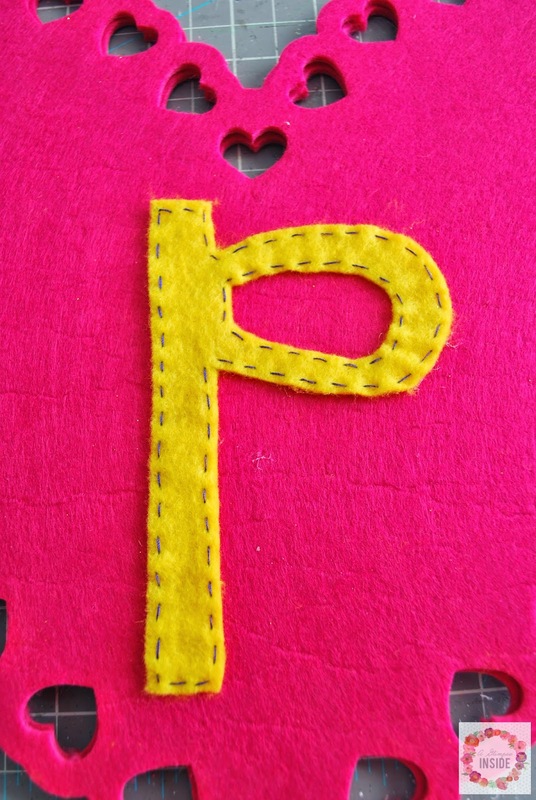 Next, I took a needle and thread and added stitched around the outside of the letter. I did not stitch it straight onto the heart because the heart felt is so thick it makes it difficult to push the needle through but you could stitch it directly on if you want. 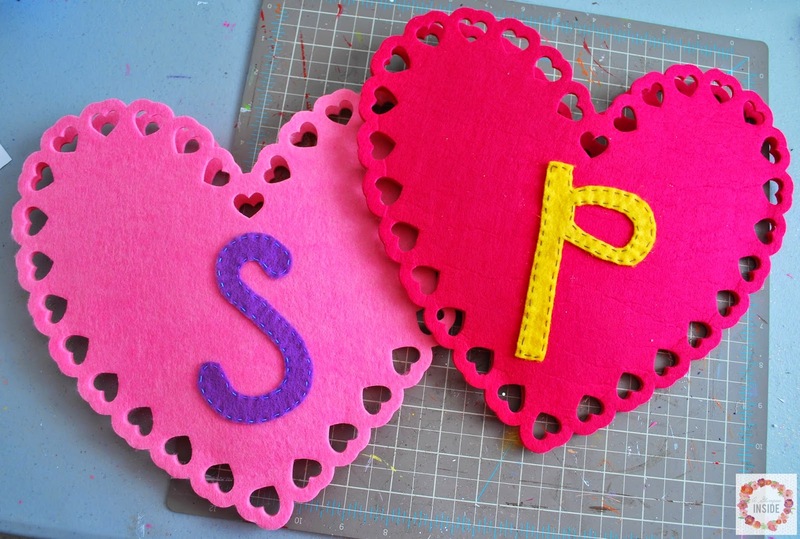 Once you stitch around the letter, hot glue the letter to the center of the heart. Don't use to much glue though. You don't want it to come through the felt. 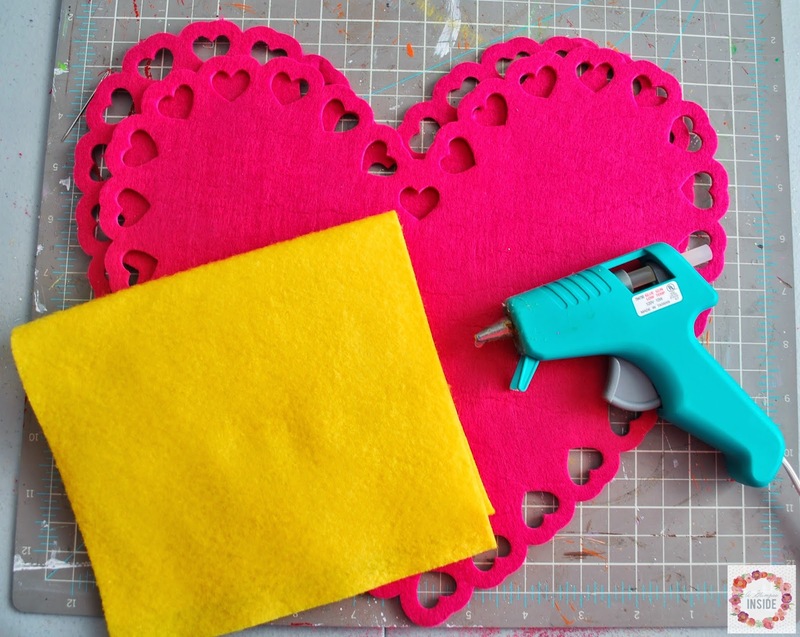 Then it is time to glue the two large hearts together, leaving the top area open to create the pocket. This part isn't necessary but I placed a small bit of batting down inside the bottom of the heart to keep the heart open every so slightly to slip notes in and out. Plus, it prevents whatever you placed inside from getting lost at the very bottom of the pocket. Now they are ready to put on the chairs. 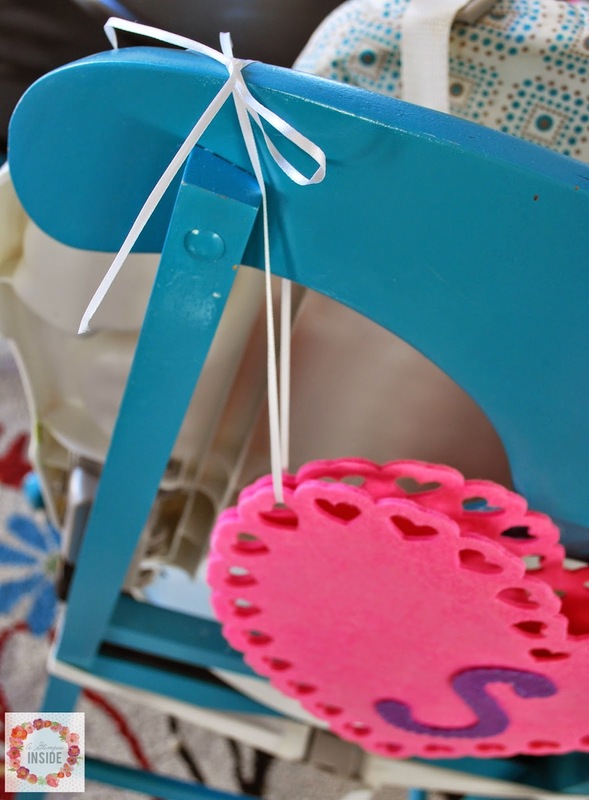 Using ribbon, tie it to the chair stringing it through the open hearts on the pocket. I tied it in two spots to the chair and it is ready to go! 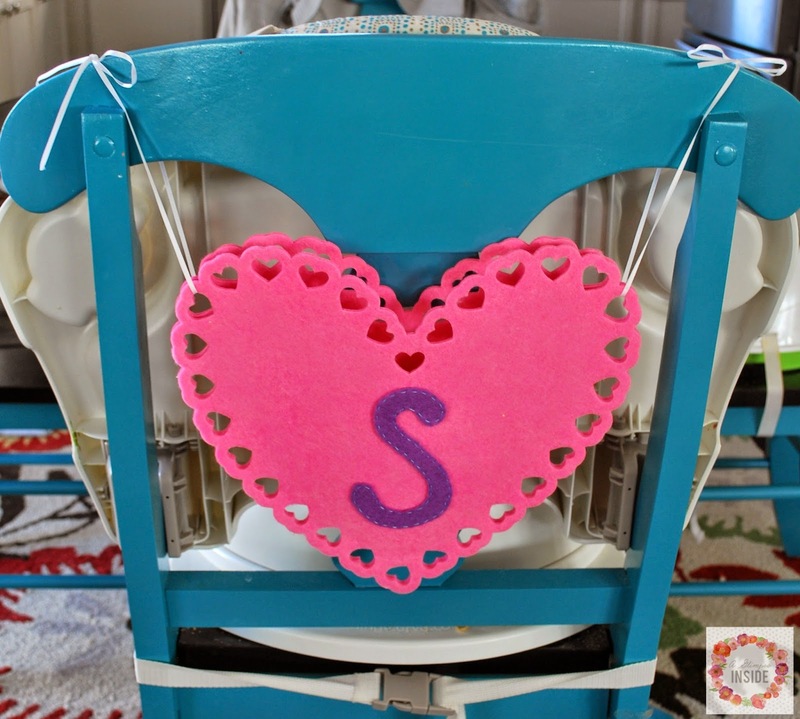 Now all you have to do is slip some fun little love notes or treats into the pocket and wait for you kids to discover them. 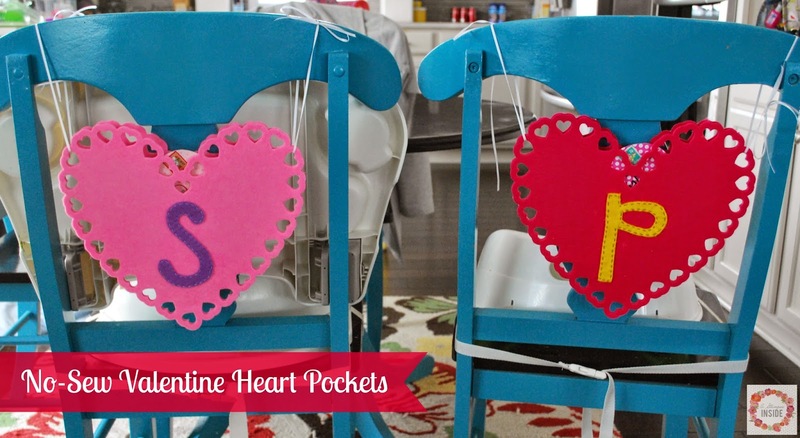 I hope you make some pockets for your family to help spread some love!